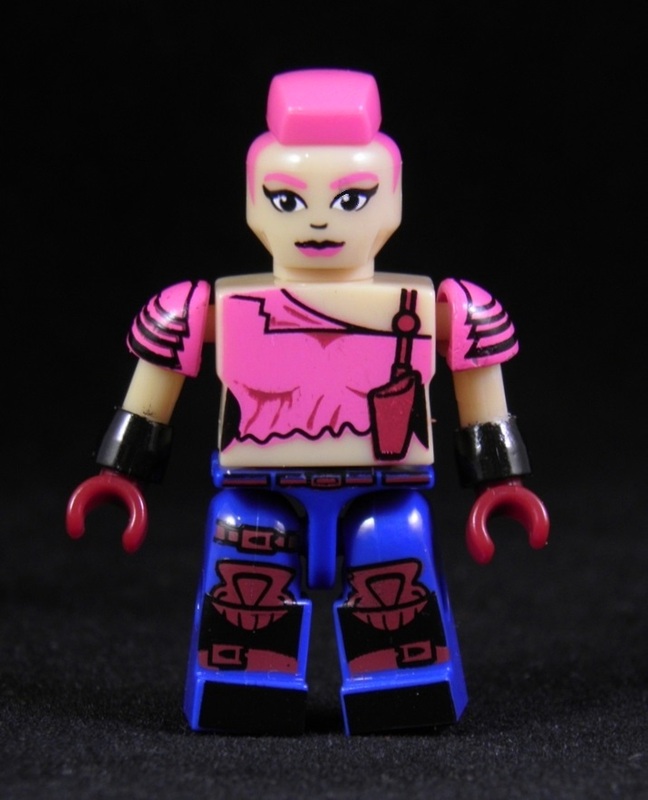 She's Fantastic: G.I.Joe Kre-O Series 5 - ZARANA! G.I.Joe Kre-O Series 5 - ZARANA! Zarana is one of the very few female villains in the G.I.Joe universe. Like just about every female character on the show, she was a master of disguise (seriously, think about it, they all had a remarkable talent for wigs and voices). Zarana, however, has the family lineage to back up her skills. Her brother Zartan and Zandar are masters of disguise and espionage. The one skill her brothers exhibit that Zarana never did was the ability to change their skin color in a chameleon-like fashion. Her original toy did this of course, but costumes and makeup were her main means of deception in the cartoon and comics. This 5th wave of G.I.Joe Kre-O blindbags was a surprise to find on the shelves so soon. Series 4 hasn't even appeared yet. The inclusion of Zarana in this line is a great thing. So far we've seen the requisite Scarlett, Baroness, Lady Jaye, and Jinx. Zarana is a total bonus. Although now we need a Cover Girl and Pythona. Let's check out Zarana below! It should be noted that there are no unique codes printed on these bags. They are truly blind now unfortunately. Time for a Group Pic! I squeezed all of these I could find, but never could detect Zarana (perhaps she had already been bought.) I did find Bullet Man though! I'm a horrible squeezer. When I found this wave I saw a fresh box (not rooted through at all) so I tried this trick that I've been working on. I noticed with Imaginext and Kre-Os, the figures are ususally placed in pairs in the box .. and in addition to that, they're usually placed in the same order that they're shown on the assortment graphic (or sometime's they're alphabetical). I bought two to hedge my bets: One just about where Zarana is on the graphic, and one at the end for "z." This was my first attempt doing this and it worked.